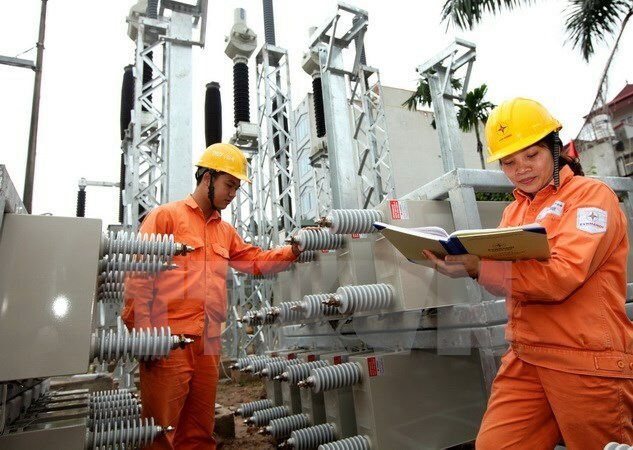 Hanoi (VNA) – The Electricity of Vietnam’s (EVN) Hanoi Power Corporation (EVN Hanoi) has launched 24 hour hotlines 042 2222000 and 19001288 to acquire feedback and queries about power use in the capital city. In the recent hot spell, EVN Hanoi has been receiving about 1,000 phone calls per day on average, up 20 percent from usual. Operators are answering questions about power outage schedules, power bills and offer advice about how to use air conditioners in an economical way. It also requested relevant units to minimise power cuts from May-July to ensure sufficient power supply for high school graduation and university entrance exams. Units were also asked to arrange staff to work on shift to guarantee power transmission.